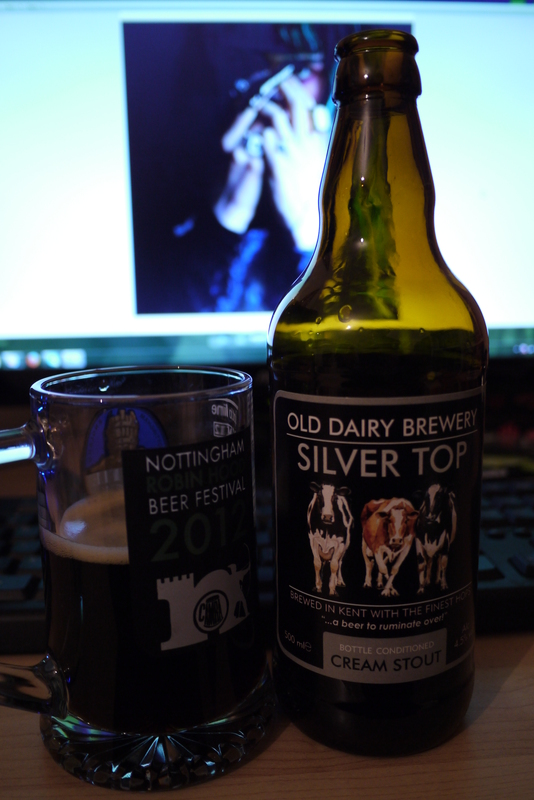 Here we have Silver top from Old dairy brewery, a cream stout standing at 4.5%. Luckily I picked this one now as it is a bottle conditioned beer, that goes out of date on the 17th… at least that means its had a good fermenting period. When I first opened the bottle I got a wiff of chocolate then a smack of liquorice, then the chocolate never really came back. Even in the taste there was no chocolate to speak of. Some pleasant liquorice and the coffee taste is nice enough, though thats really all there is to this one. Its not oily or heavy at all in texture, so it is very easy to drink but only leaves you with a slight bitterness that you want to get rid of by drinking again. ← Advent Calendar 2013: It begins! Plus the first bottle!